Our 118th annual town party. 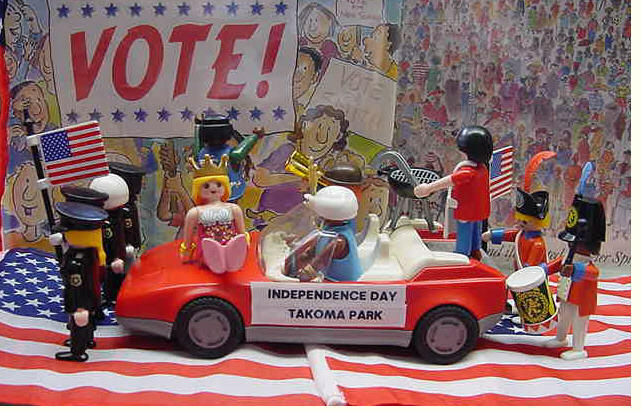 Parade, concert, patriotic songs, fireworks. Usual times, usual places - for all the information visit the Independence Day Committee. And please support these events by buying raffle tickets. You can go uptown now and buy some at Shampoo, Mark's Kitchen or Now and Then. A little history: Commemoration began in Wisconsin in 1885, President Wilson proclaimed June 14th a national flag day in 1916, and in 1949 President Truman asked all Americans to observe this day. 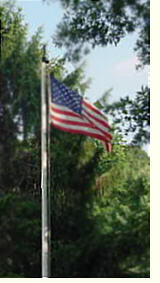 The library flag, June 14, 2007. 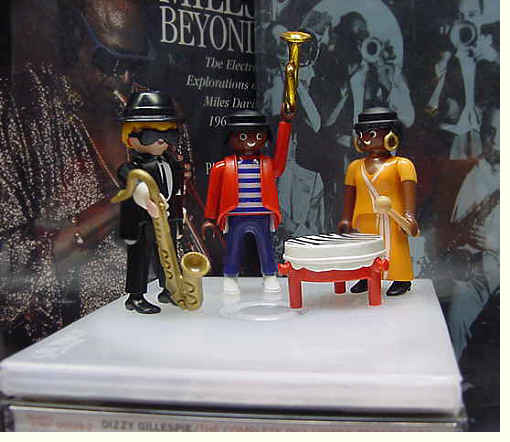 Check out our jazz books and CDs.